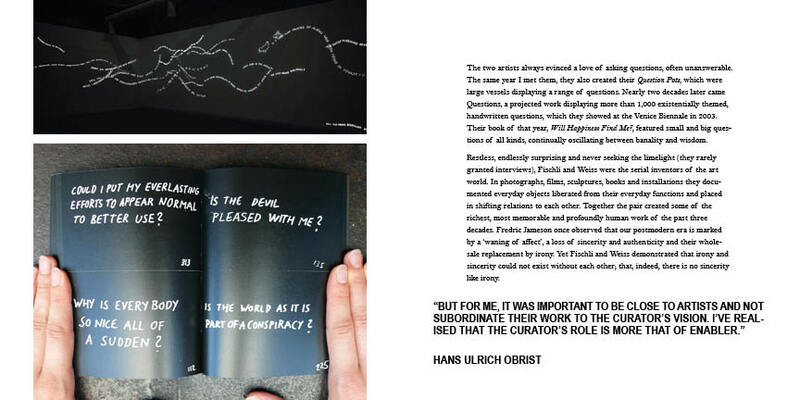 This was a small booklet with the prologue from the book Ways of Curating by Hans Ulrich Obrist. 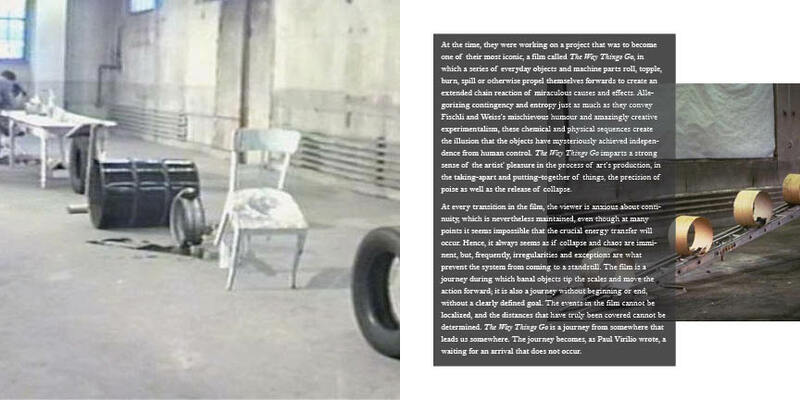 For a class, I was given the assignment to communicate a chosen text with any images we were able to find. The size of the book is 6 in by 6 in. It is meant to be small and accessible - something that could go along with a gallery show or art exhibit. 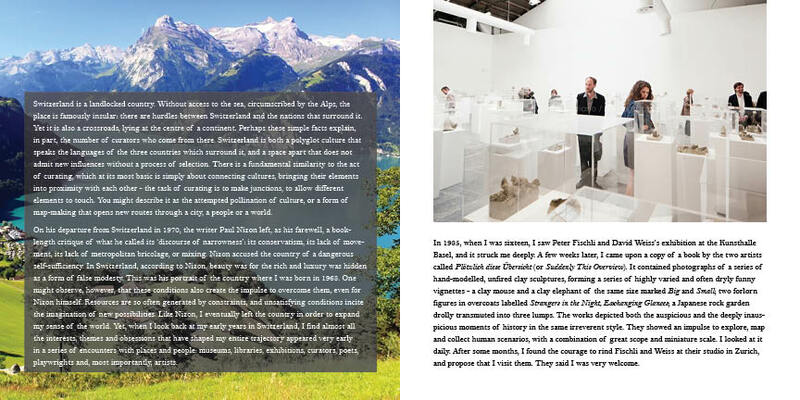 The images chosen are specifics of the artwork and artists discussed in the text. 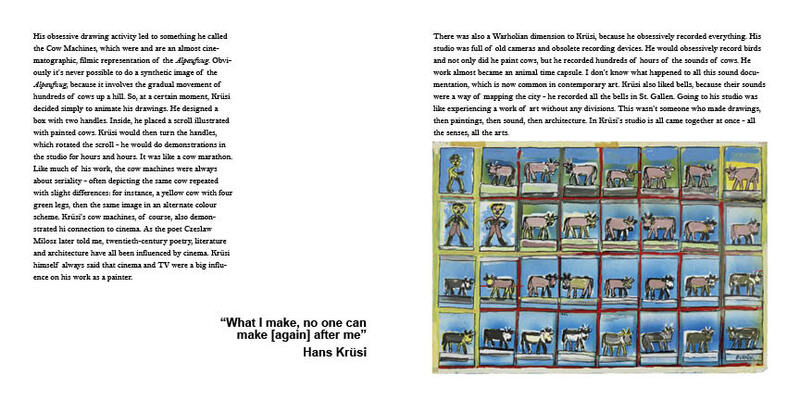 This is the cover, below are the spreads.